Every home has its own personal style depending on what you like. But sometimes it is easy for it to become a little dull, and lack the life it needs. This is where a bit of home DIY comes into play. Every year you should be looking to make a few changes that will spruce the place up a bit, and give it a new lease of life that it so badly needs. There’s going to be a few things that will need switching up. 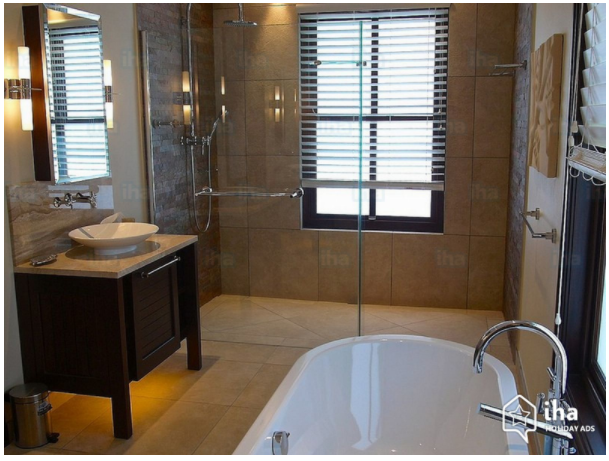 Rooms such as the bathroom are most likely going to have been the same way for years. But that’s common, it is expensive to completely redo the bathroom, but sometimes you’ve just got to dip your hand into your pocket to create the stylish home that you’ve always wanted. So, here are a few tips that you can use to bring some style back into your home. As we said, the bathroom is one of the first places that is going to become a bit outdated. The living room and the kitchen are usually the two rooms that are kept up to date. But, having a full bathroom renovation can completely change the look of the room, and it’ll be years and years before you need it doing again. If you’re thinking of renovating the room, but aren’t quite sure what style to go for. Here is an amazing idea for you. Walk in showers are all the rage at the minute. The look so classy and elegant at the same time. In the shower, a waterfall shower head is really going to look, and feel amazing. It allows more water to fall from the head, meaning you have a much better shower. Darker bathroom designs seem to be in at the minute, so if you can get yourself some dark tiles you’re going to be onto a winner. Dark grey, or even some black is really popular, but be sure not to overdo it with the black, it can really help draw the light away from the room, and there’s not much light in a bathroom at the minute. Shower splashbacks are a very cost effective way to subtly style your bathroom, says Cut My Plastic. Infinity mirrors are also a great little touch if you’re looking to add that extra bit off class. When the light is off you can see yourself normally, but with one tap of the button a light appears and it looks like the mirror falls into the wall. A neat little trick if you’re willing to try it. If you live with a partner and your children, the bedroom is the one place you can escape from the madness of the house. Therefore, it really should be your sanctuary. Yet, once again, it always seems to be one of the last rooms that’s decorated. We’re here to change that. You don’t need to do much to really transform a bedroom. One of the first things you can change is your bed. Beds, just like bathrooms, seem to last us an absolute lifetime. But eventually you’ll start to notice the wear and tear of them. There is plenty of on trend furniture out there that really does look amazing at the minute. Just like with the bathroom, darker seems to be better at the minute. Try and grab yourself a black bed frame and headboard, and treat yourself to some new bedding. There’s nothing better than new bedding, and silk seems to be a really popular choice at the minute. Try not to go too dark if you’re going for the black headboard. A nice light grey, with a white throw, will look amazing. Or reversed, white bedding with a light grey throw. Change your carpet to light grey, and have some crisp white walls and you’ve created yourself a really on trend bedroom. Be careful not to go too dark with the bedroom furniture either. Oak won’t suit the color scheme we’ve mentioned above, so you’re either going to have to go white, grey, or black. A dark grey is probably going to look the best with the rest of the bedroom. White might have a tendency to become a little dirty and it’ll get on your nerves to clean. To finish off that sanctuary look, you should look at the prices of bean bags. There’s something so relaxing about sinking into the comfort of a bean bag in the corner of your room with a book that a bed just can’t seem to match. Plus, your kids will love it! So there’s two rooms completely transformed for you. Take it one room at a time, and make sure you complete it to the style that you truly like.